"Towerback" is our new VFX character. He's taller than a building and shakes the earth when he moves. These creatures are eager to wreak havoc and create mayhem in the cityscapes we provide. 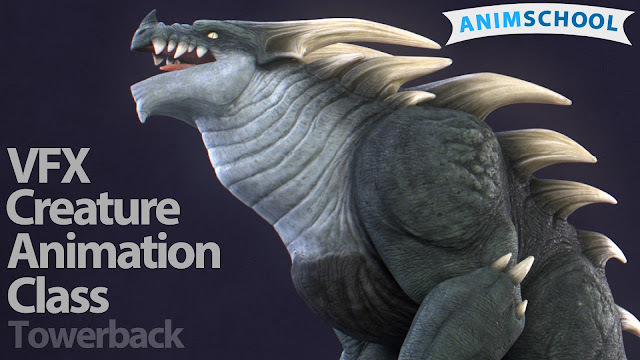 Our students use Towerback in our new VFX Creature Animation class, integrated with our custom HDRI background plates. To apply to be a student at AnimSchool go to www.animschool.com. Towerback was designed by artist Yishu Ci and modeled by AnimSchool founder Dave Gallagher, and textured by AnimSchool alum Paul Bellozas.